March 2, 2010 - The Red Bull Air Race is returning to Rio de Janeiro, Brazil in 2010, exactly three years after one million spectators packed the beaches to witness the biggest-ever sporting event in Brazilian history. Defending champion Paul Bonhomme won the race in South America in 2007 and the British ace will be leading the field of 15 of the world’s best race pilots on May 8th and 9th at the 3rd stop in the 8-race championship. The return to Rio will be extra special this year because Brazil will have its first pilot, Adilson Kindlemann. The rookie from Curitiba, Brazil advanced through the rigorous Qualification camp and is the first South American pilot to compete in the world’s most exciting high-speed, low-altitude motorsport. The race will again be staged over the picturesque Botafogo Bay and near the giant statue of Jesus, known as Christ the Redeemer (Cristo Redentor) and Sugarloaf Mountain (Corcovado Mountain). The huge crowds will be able to enjoy spectacular views of the race track from the hotel-lined beaches. Bonhomme beat Spain’s Alejandro Maclean in a thrilling battle for first place in the 2007 race to move into the overall lead in the championship for the first time ever. It was a special moment for the British ace -the first of three wins in 2007 and the second of his 11 career victories. It was also a career-best performance for Maclean. “Back to Rio? Fantastic," said Bonhomme. "Back to the beaches and sunshine of Brazil and an incredibly emotional crowd. Let’s hope we have just as much fun as we did in 2007,” he added. The 2007 Rio race was also significant for Austria’s Hannes Arch, a rookie that year who signalled great promise with getting fourth place in only his second race. Arch went on to win the championship in 2008. 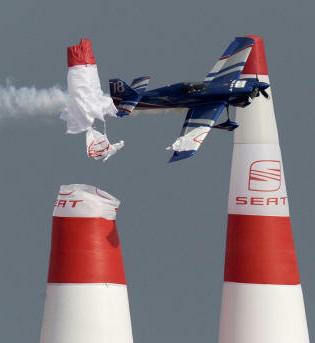 Kindlemann, Brazil’s national aerobatic champion for three consecutive years from 2001 to 2004, was one of the million faces in the crowd watching that first historic race in Rio. Seven of the 15 pilots in this year’s championship raced in Rio. You can often see their eyes light up when they start talking about the amazing atmosphere there. The Red Bull Air Race will touch down in a total of eight locations in 2010 beginning in Abu Dhabi (UAE) on 26/27 March followed by Perth (Australia), Rio de Janeiro, Windsor (Canada), New York, EuroSpeedway, Lausitz (Germany), Budapest and Lisbon.